HAQAST is a collaborative team that works in partnership with public health and air quality agencies to use NASA data and tools for the public benefit. Here you can learn about our team, partnerships, and newsworthy achievements. 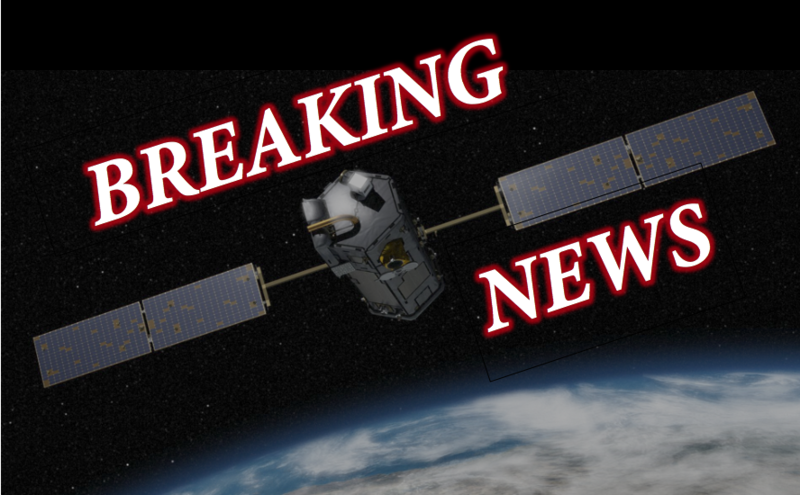 You can also find short tutorials for NASA’s open-access satellite tools. 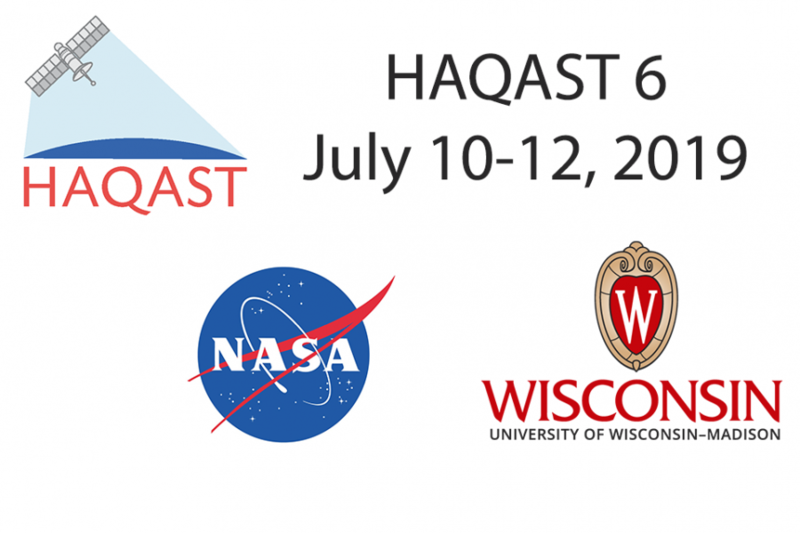 HAQAST6 will take place July 10-12, 2019 in Pasadena, California where our local HAQAST member, Jessica Neu of JPL, will be welcoming us. There will be two full days of meetings, and then a third day of hands-on presentations. 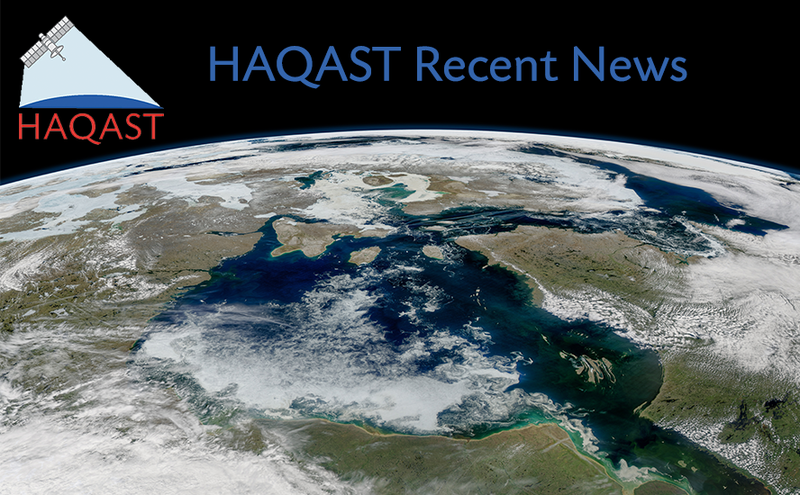 NASA extends funding for HAQAST until 2020! The NASA Applied Sciences Program, after consultation with NASA Earth Science Division leadership, has decided to extend the period of performance of the NASA Health and Air Quality Applied Sciences Team (HAQAST) by one additional year. From media appearances to cutting-edge research, catch the newest developments in HAQAST’s work. 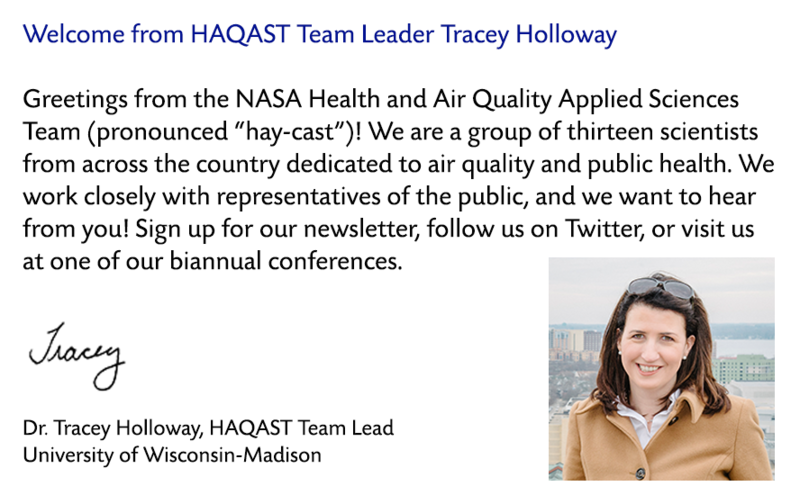 HAQAST is a collaborative team that works in partnership with public health and air quality agencies to use NASA data and tools for the public benefit. HAQAST 2016-2020 is funded by the Applied Sciences division of NASA. Changes in NO2 in the U.S. This animation shows the changes in OMI NO2 levels from 2005 to 2016 over the Untied States. The large decreases (20-50%) are associated with the implementation of state and federal regulations to reduce NOx emissions from power plants and cars. The only areas of increases occurred over areas of oil and natural gas (ONG) extraction activities in North Dakota and Texas. Sulfur Dioxide in the U.S. This animation shows the changes in SO2 levels from 2005 to 2016 over the Untied States.